This 50th Anniversary Edition is limited to 50 numbered models, each comprising 44 parts, assembled during the weekend of the 50th Anniversary by students from the Victoria University of Wellington School of Architecture. The models are supplied with a matching custom fitted storage box that doubles as a display plinth and contains an engraved token denoting the Limited Edition Number. The name of the students who assembled your model is recorded on theCertificate of Authenticity that accompanies the limited edition model. The model is also available in a Standard Limited Edition of 25 un-numbered copies supplied as a DIY flat pack comprising 48 parts and without the storage/display box. 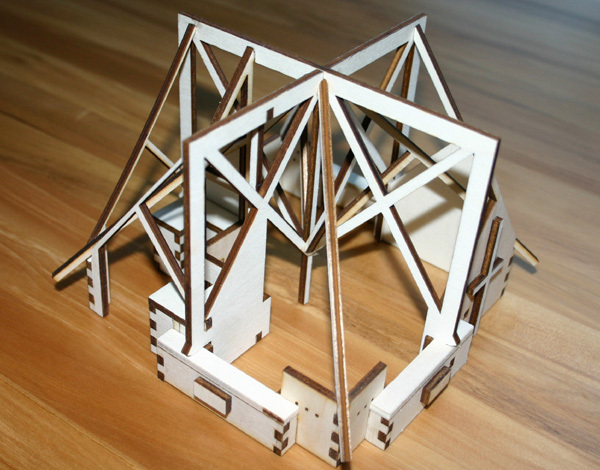 Click here for an image of the model. The two Limited Editions will never be repeated, as the patterns for the model have been permanently erased. The kit was designed by Hamilton modeller Tony Richardson using Inkscape vector graphics, then laser cut by Ponoko in Wellington from 4mm Italian poplar plywood donated by Plytech. The model is as close to scale as is possible with the materials available using this technology. 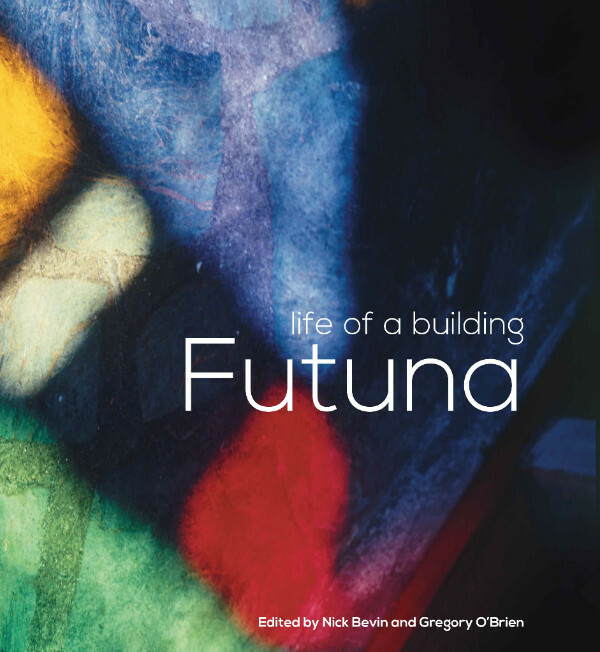 The original Chapel of Futuna was designed by Hawke’s Bay architect John Scott in association with Auckland artist Jim Allen, and built by the Marist Brothers between 1958 and 1961. It is an iconic Wellington architectural gem that expresses an elegant fusion of Maori and European building traditions. We acknowledge the support of Tony Richardson, the Scott family, Jim Allen, Plytech, Ponoko, The Tool Shed, Dr Robin Skinner and the VUW School of Architecture students in making this project possible.